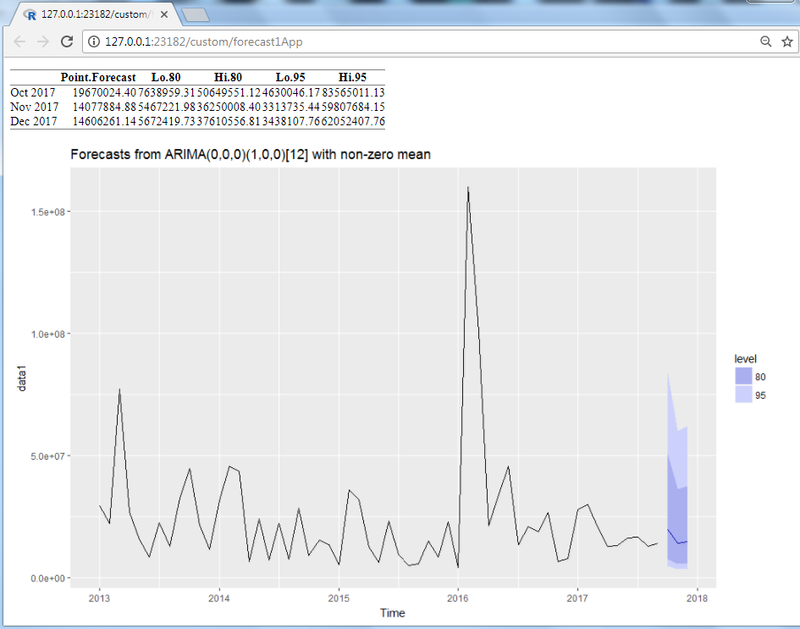 The forecast package for R, created and maintained by Professor Rob Hyndman of Monash University, is one of the more useful R packages available with methods and tools for displaying and analysing univariate time series forecasts including exponential smoothing via state space models and automatic ARIMA modelling. Exponential smoothing and ARIMA models are the two most widely-used approaches to time series forecasting, and provide complementary approaches to the problem. While exponential smoothing models are based on a description of the trend and seasonality in the data, ARIMA models aim to describe the autocorrelations in the data. The auto.arima() function is used for automatically selecting ARIMA models. When the lambda argument is specified, a Box-Cox transformation is used. 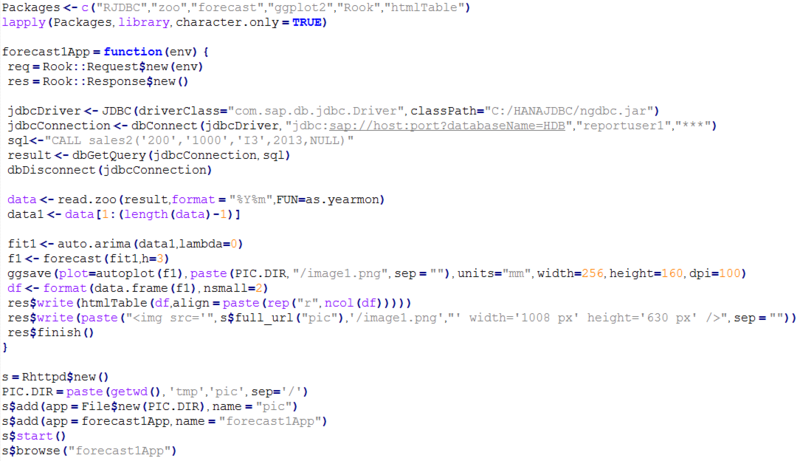 The value 0 specifies a log transformation which constrain the forecasts to stay positive on the original scale. When forecasts are produced, they are back-transformed to the original space. Finally, the forecast results should be exposed to the outer world without any dependencies of installed software and operating systems. Rook is a web server interface and software package for R. By using it I am finalizing this story 😊.